With increasing internet usage and demands for more bandwidth and faster service, internet providers have had to get innovative. Because of that, cable providers started offering internet packages already in the late ‘90s. That was a smart move. By 2005, 24.3 million Americans were using cable internet. They also started offering digital phone service, a move that gave them a way into the phone market. Cable providers in Greensboro offer internet and phone packages along with their TV packages. Here’s why. Cable internet is capable of providing speeds over 100 Mbps in comparison to digital subscriber lines (DSL) that may only get up to 15 Mbps. If you’re a heavy movie-streamer or gamer, you’ll quickly max out a DSL connection. 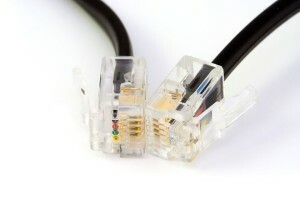 While cable bandwidth is shared with your neighbors and DSL bandwidth is not, you will still come out ahead with cable. For 99 percent of users in urban areas (where bandwidth is shared), cable is still the best choice. If you already have cable TV, it’s easy (and affordable) to combine services. Cable providers offer TV, phone, and internet bundles for as low as $29.99 each per month. Because they’re designed to work together, subscribers can enjoy as much as a 50 percent discount on services they would get anyway. Plus, those bundled services will often include some free perks, like having caller ID show on the TV when someone calls the phone line. Bundles can be customized to suit your needs too. If you want more internet speed, but less TV channels, you might be able to negotiate that. For businesses especially, digital phone service is the wave of the new century. Digital phone service uses Voice over Internet Protocol (or VoIP) to transmit phone signals. Because of the flexibility of the internet, VoIP can grow with your needs and service multiple locations with the same phone number. While residential landlines have lost ground to mobile only users, VoIP has gained popularity, particularly with customers who wish to make international phone calls. Digital phone services include generous international calling features. Greensboro cable providers have made the most of the changing times by offering innovative internet and phone packages. If you enjoy your cable TV and want your phone and internet services too, talk to the folks at Carolina Connections. We make the options affordable for every budget.